Just posted a new video on YouTube showing a complete restoration of a vintage Parker 51 Aerometric fountain pen from start to finish. This is the first time I have looked at this pen and the video walks through a complete restoration as if you were sitting at the bench right next to me. Pretty cool! It’s long though…but so is an actual vintage fountain pen restoration. I hit a couple of snags along the way, but the video shows how to work through them. The result is a beautiful, fully restored Parker 51. Hopefully it will be a great learning tool too. This entry was posted in Restoration & Service, Uncategorized and tagged parker 51 aerometric restoration video, parker 51 aerometric service video, parker 51 service video, parker 51 video, parker restoration video. 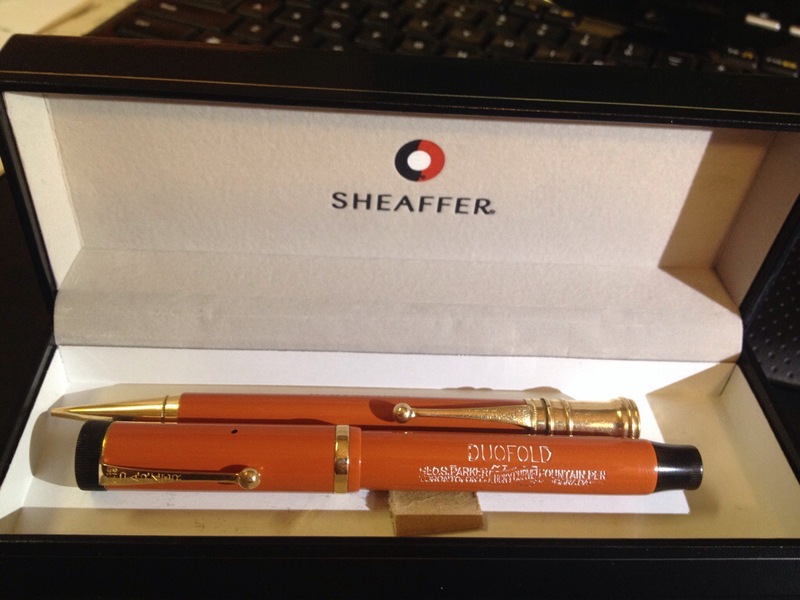 A Big Red in a Sheaffer box! I just changed the theme up quite a bit. I thought the other one was too “dark.” Check out the store too, same thing. Welcome to Triumph Vintage Pens. Stay tuned for new and updated content on vintage fountain pen restoration, information, education, and collection. While we ramp the blog up to speed, please be sure to check out our store for some awesome vintage fountain pens that I have restored. Also, be sure to join in the conversation at the Fountain Pen Network, the world’s leading forum on fountain pens. We’ll have some great content up soon!